Ask fellow campers about "Escalante Cabins and RV Park (formerly Grand Staircase Resort)" and nearby attractions. This is a fairly new park so all facilities are new and spotlessly clean. Check in was quick and staff was very pleasant. Wifi was actually usable which is pretty rare in most other parks. Sites are close together as with most RV parks in the area. All sites are pull-through. Location is perfect for exploring Escalante-Grand Staircase NM. Would stay here again if in the area. We camped at Escalante Cabins and RV Park (formerly Grand Staircase Resort) in a Travel Trailer. Escalante Outfitters restaurant has excellent pizza. Do some of the many hikes in the area. Calf Creek Falls was beautiful. We stayed at Escalante Cabins & RV Park in early October to experience The Grand Staircase Escalante National Monument before it was downsized by 50%. The sites were well laid out, level and with good hookup connections. Showers, laundry and facilities were clean and well maintained. The owners were quite hospitable and politely warned us to disconnect water hoses before an expected 24F overnight freeze. We camped here for 5 days in a 21' travel trailer. The Park is highly recommended. We camped at Escalante Cabins and RV Park (formerly Grand Staircase Resort) in a Travel Trailer. Grand Staircase Escalante National Monument is a jewel. Don't miss scenic UT Highway 12 to Boulder UT nor the return trip on the Devils Backbone Road. Gorgeous visuals and geologic formations but quite a wash board. Not to be missed. The Devils Garden on "Hole in the Wall" Road to view the Hoodoo rock formations is a must see. We had a great lunch and beer at Escalante Outfitters. A great trip in a truly gorgeous area. Thank you for your review. The area is beautiful and I'm so glad you enjoyed your stay here with us. If your travels bring you this way again, I hope you will join us again. Pretty basic facility. Serviceable little dog park. Nothing fancy by it's all about location, location, location. Great WiFi and great OTA TV. Fast check-in, electronic receipt. Was in a great location for our journey. Super nice and efficient staff. 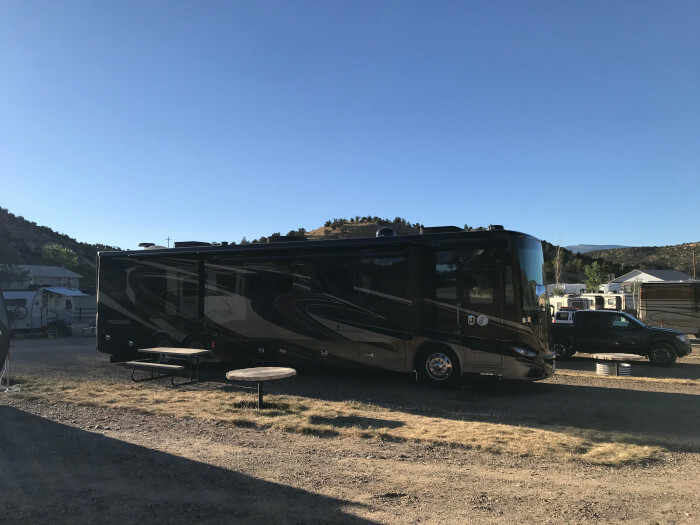 We camped at Escalante Cabins and RV Park (formerly Grand Staircase Resort) in a Motorhome. Thank you for taking the time to share your opinion. I'm glad you found the location, WiFi, OTA TV, fast check-in, staff and reservation software to your liking. We have a 2016 Pace Arrow 38K DP and maneuvering it in the park was easy. Full hook up. Best was the WiFi reception. Perfect place for a base since the Grand Staircase area had many hiking trails to take. Exceptionally clean restroom, shower and laundry facilities. The roadways were graveled, and the parking space for the RV was level. We plan to go back and stay there again. 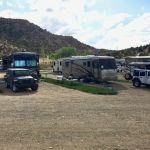 We camped at Escalante Cabins and RV Park (formerly Grand Staircase Resort) in a Motorhome. Thank you for your kind review. Yes, there are many places to explore and enjoy and we welcome your return whenever you find it convenient to return. Nice new park at the west edge of Escalante town. Right across from the National Park Visitor Center. Friendly staff and they had lots of info on hiking and activities in the area. They're continuing to upgrade the sites. Great views of the surrounding mountains and cliffs. Restrooms are new and very clean. This is my second stay here in two months. All sites are pull through and we saw a 45 footer with a 30' trailer fit in the spot, so the spots are long. 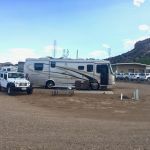 We camped at Escalante Cabins and RV Park (formerly Grand Staircase Resort) in a Motorhome. Since we have just recently completed our second season, feedback like yours is particularly valuable. It helps us know that we are on the right track! It has been said that Escalante is a "hidden gem". We agree! Thank you for your return visit and we look forward to the opportunity to host you again in the future. Newer park with small trees and no shade. Very friendly staff and easy check in. The restrooms and shower were the cleanest and nicest we have seen. Well laid out park. Easy in and out. Close to restaurants and town. We camped at Escalante Cabins and RV Park (formerly Grand Staircase Resort) in a Motorhome. It is through reviews like yours that we get much appreciated feedback that helps us see how we are doing. We take pride in keeping out restrooms and showers clean for our guests and thank you for noticing. We are working hard to do all that we can for our newly planted trees because we, like you, know that shade is a welcomed commodity in this sunny environment. If future plans bring you back to Escalante, we certainly hope to see you again! $22 was base price plus $5 for a third person. Reasonable. Friendly, helpful folks in front office. We had one tent and three people at T-1 and T-2, and a tent with two people at T-3. Our tent sites were close to the bathroom and shower facilities. USB charging ports and a nightlight on the pole at each site. Good lighting all around. Nice laundry facility inside the main office building. Right across the highway from the Escalante Visitor Center. Prior to this trip, we had always stayed at another campground in Escalante. This will be our first choice from now on! We camped at Escalante Cabins and RV Park (formerly Grand Staircase Resort) in a Tent. We work hard to create an atmosphere that is friendly, comfortable, and accommodating for our guests. Your review is so meaningful, since feedback from people like you gives us a much appreciated opportunity to see how we are doing. It is an honor to have been bumped up to your first choice when you return to Escalante. We look forward to seeing you! New park being developed, trees but not big enough for shade. Spotless showers, restrooms, and laundry. Quiet with friendly staff. 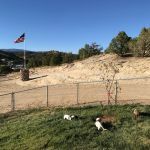 We camped at Escalante Cabins and RV Park (formerly Grand Staircase Resort) in a Travel Trailer. Excellent food at Circle D cafe. Thank you, Bob, for taking the time to write a review of our campground and facilities. Providing a clean, cordial, and comfortable environment is our priority, so we thank you for letting us know that we have met your needs and expectations. We are in agreement with you about the desire for additional shade and are doing our best to provide the precious water needed to encourage growth of our newly planted trees. Where ever your future travels take you, we hope that your experiences will be positive and memorable. If back in Escalante, we hope to see you! Of the choices in the area (and they are limited) this one is the best. We were disappointed because of the 10 star reviews and name, we expected a resort, and it's still very much in progress. Some pros: kind, helpful, easy to work with management who have great attitudes. Great location to see so much in the area. Nice tables, fire pits and long spaces with adequate room between most of the spots. Cons: We expected grass, and a site that was "done." Our spots were all dirt, with rocks, sprinklers, etc in odd spots - like construction going on. Views of a work yard and houses. After the first two nights they were able to move us to a spot that was "finished," and we felt like it was what we thought all the spots would be like. We would love to stay here again in a few of years (we aren't in the area often) and hope to give them a 10 star review. We camped at Escalante Cabins and RV Park (formerly Grand Staircase Resort) in a Motorhome. Be sure to see Capitol Reef National Park - wow! Get a small pie at their Griffin House gift store (yum!). Loved hiking Willis Creek Slot Canyon (and our dog loved it too!) Did light off-roading, saw Hell's backbone- a highlight. Hiked Petrified Forest State Park, well worth the mile hike. From here we moved to Bryce Canyon and stayed there 4 nights (after being here 5 nights.) Not far mileage wise, but we got more out of our days that way. We very much appreciate your time and comments about our park. If we provided assistance about this area and the many sites to experience, that is our hope. Growing grass in this very dry climate is definitely an ongoing challenge, but we are determined to have success. Let's hope that on your next visit, you will reap the benefits of our hard work and desire to provide the best possible accommodations for our guests. Highlights of the park are excellent Wi-Fi service, very clean and new individual showers as well as individual toilet "rooms". The park is literally being redone and improved. Each site has GRASS along with a picnic table. As I recall all the RV sites are pull-through with full hookups. The park was quiet in the evening and pretty quiet during the day due to all there is in the area to visit. It is about half-way between Bryce Canyon NP and Capital Reef NP. Lots to see and do in the surrounding area. We will stay here next time we are in the area! 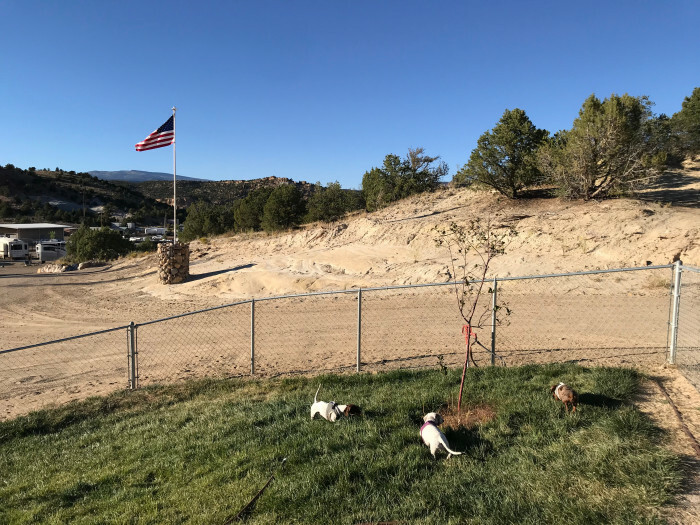 We camped at Escalante Cabins and RV Park (formerly Grand Staircase Resort) in a Travel Trailer. A small grocery store in town with reasonable prices is about 1.5 miles from the park. We did not use the restaurants in town except for one cup of coffee! The owners continue to develop the park by planting lots of trees. The park is well kept and the staff is very helpful. Utilities were excellent while being mindful of water needs in the community. Purchased a rump roast there that made a great beef stew! WiFi and Cable available. Laundry clean but pricey (understandable). Would definitely return if in the area. We camped at Escalante Cabins and RV Park (formerly Grand Staircase Resort) in a Travel Trailer. Not far from Bryce Canyon, Grand Staircase/Escalante, Glen Canyon, Capitol Reef, etc. Beautiful, beautiful. Thank you so much for taking the time to write such a nice review. I am delighted to hear you enjoyed the roast and your stay with us. Your thoughtful and descriptive review reaffirms that we are heading in the right direction and it helps other community members know what we are all about. We hope you do return to the area and will stay with us. Thank you. We stayed over the busy Memorial Day weekend. It was very enjoyable--the weather was perfect. Bathrooms and showers were in really good shape. Pull-through sites were very easy to navigate. (I'm long at 42' + 24' car hauler). Manager or owner went out of her way to accommodate a late checkout on Monday afternoon. I needed a sewer line extension to make the sewer work. 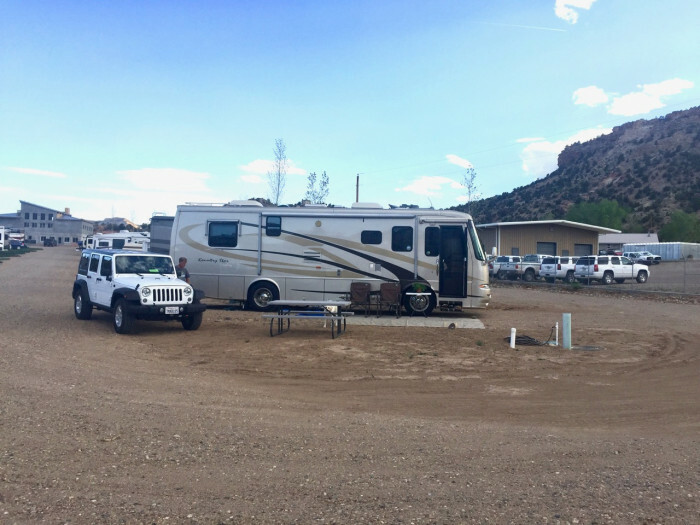 We camped at Escalante Cabins and RV Park (formerly Grand Staircase Resort) in a Motorhome. Make sure you find a couple of slot canyons to explore. They are amazing. There are plenty of maps around that show locations. Thank you for giving us a try! We know that you have options and we are tremendously happy you picked us. We are so glad our efforts are paying off and you had the opportunity to enjoy our beautiful area. Please consider coming again. Nice park just west of Escalante. Owners were very helpful, recommending both places to eat and things to do. The recommendation to see a slot canyon just of Burr Trail was great! Sites are good size with appropriately located utilities. Took 2 sites for us to find one we could get level in though. Spoke with the owner before we left and they plan to add gravel to sites to get them level again. We had a good time in the park and in and around the town. We camped at Escalante Cabins and RV Park (formerly Grand Staircase Resort) in a Motorhome. Hello! I wanted to take a moment to thank you for telling us more about your experience with us. From the start we have made it our goal to be the best RV Park we could possibly be. Your words of appreciation make a world of difference and set the tone for our continued efforts. As I'm sure you know, since we are new, the sites have settled since they were created. It is a constant effort to make each site the best it can be. I'm glad you found one that worked well for you. Thank you for having been our guest and I hope you will come again! Park is very new and still under some construction. When it is complete it will be very nice offering a game room and restaurant. The sites are gravel with new trees planted at each sight but they are not big enough for shade yet! All utilities worked well with no problems. The showers are new and very nice as is the laundry facilities. The owner is on site most days and is very helpful with anything you might need. 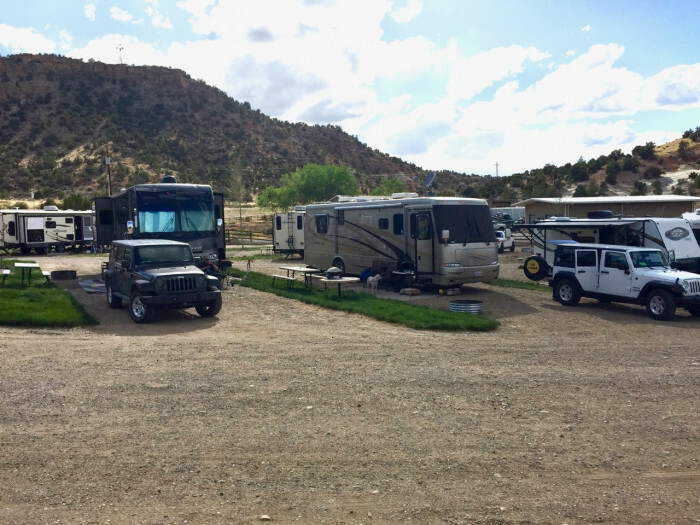 We camped at Escalante Cabins and RV Park (formerly Grand Staircase Resort) in a Motorhome. Yes, this is just our second full season. And yes, that does mean the trees are rather small still. However, it also means restrooms, utilities and wifi work well since they are all new. And the sites are long, pull through, and angled for easy access. We do try to be on site as much as is possible, usually at least 6 days a week from early in the morning to late at night. We enjoy our delightful guests and enjoy our time here at the RV Park. New park still under development. Very nice long and level gravel sites. Ryan, the mgr. was wonderful to work with. Excellent Wi-Fi. This is a great spot to explore the Escalante area and for some real good Jeep rides. We will certainly stop here again. 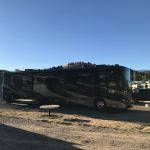 We camped at Escalante Cabins and RV Park (formerly Grand Staircase Resort) in a Motorhome. The road to the hole in the rock is a must do. Allow 6 hrs round trip and only with good clearance vehicle especially the last 5-7 miles. Visitor center across the street. Be sure and take the Burr Trail road in Boulder, stop at the short but amazing slot canyon ~11 miles off the main road(hwy 12). We enjoyed meals at Circle D and Escalante Outfitters. Grocery is a bit limited, but will suffice. Lots to do in the area. Highly recommend a trip to Kiva Koffeehouse and Utah Scenic Highway 12. Drive 8 miles down Hole-in-the-Rock road to do the Zebra Canyon hike! Beautiful, but be prepared for some cold water in the canyon itself. Go to the Escalante Mercantile/Natural Grocery store - great food, store made sandwiches were amazing as is their fire roasted tomato hummus! One hour drive to Capitol Reef National Monument, same to Bryce Canyon and Zion, 40 minutes to Kodachrome State Park. Great location for seeing all of these. You must walk across the street to the Visitors Center. We've hiked the Escalante River, went through many slot canyons and visited the falls. There is so much more to do! Small health food store in town for those with dietary needs (surprising for how rural this is). Regular grocery store is basic. Great base camp for doing things in the area. It is in the middle of the national forest, national monument, state parks, etc. Visit the hole-in-the-rock information center. Go to the Interagency (BLM, Forest Service and National Monument) Visitors Center right across the road (walking distance of 2 minutes) for all the information you could ever need for daily activities, trips, sights and hiking. Very knowledgable and friendly officers. Well staffed. The Hole-in-the-Rock excursion is a once-in-lifetime event that we are glad to have experienced. Are you affiliated with Escalante Cabins and RV Park (formerly Grand Staircase Resort) ?